Extra Deep Impact Sockets used on farm tractors. Custom Sizes Available. 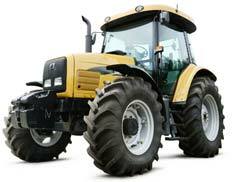 HR Manufacturing Co. builds and sells attachments for agricultural equipment and Extra Deep Impact Sockets. We’re in the business of making farming easier with simple solutions to very common problems. HR Manufacturing Co. has developed a line of Extra Deep Impact Sockets, originally designed for the mounting and removal of clamp on duals used on farm tractors. Today they are also used on jobs where there is a need for tightening nuts on long threaded rods for example, where a regular socket lacks clearance. Example of uses range from the oil fields, municipalities, repair shops, and hospital equipment installation. These sockets can be built to any custom length. Click here to learn more about our extra deep impact sockets. These fertilizer tubes are designed to bolt directly to your closing wheel frame and deliver a concentrated band of fertilizer behind the closing wheels. The tubing is routed inside the row unit frame where possible, eliminating the snagging of debris and trash, when hoses are allowed to hang outside the planter units. Click here to learn more about our fertitubes. Roto Shoes are designed to replace the old skid-mounts on John Deere 50 & 50A series row crop heads. The rotating action of the Roto Shoe cleans itself as it travels the field avoiding mud and dirt build-up. The end result is a virtual plug-free soybean harvest with far less dirt being channeled into the row-crop head, minimizing combine wear and tear. Click here to learn more about our roto shoes.